Austin, Texas – April 2, 2017 — TouchSystems, has joined Almo Professional A/V, North America’s largest professional audio visual distributor, to give resellers, integrators and consultants the opportunity to discover their own “Lightbulb Moment” during the award-winning E4 AV Tour, coming to San Jose on April 19. TouchSystems will be exhibiting during this event, demonstrating a class leading 32″ Multi-touch PCAP touch display with integrated OPS device, answering questions, building relationships, and collaborating with industry peers. Industry peers, partners, and anyone interested in touch display technology is encouraged to stop by for product demonstration and discussion. The E4 AV tour has traveled to cities around the country to provide product, technical and business training needs to thousands of resellers and installers while creating the ideal forum for professional networking. Named the best Training, Consulting/Business Service, the E4 program offers AV professionals a full day of educational sessions worth InfoComm Renewal Units as well as exclusive access to the newest high energy AV products and services. E4 San Jose is on April 19 at the Doubletree by Hilton. The event runs from 8:00 a.m. to 4:00 p.m. and are entirely free — including parking — for Almo Pro A/V’s reseller, integrator and consultant partners. To register, click here. 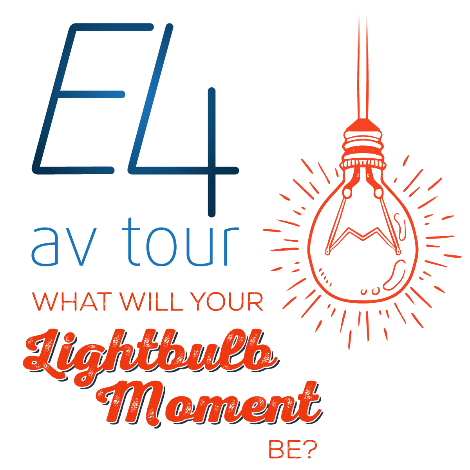 The E4 AV tour has traveled to cities around the country to provide product, technical and business training needs to thousands of resellers and installers while creating the ideal forum for professional networking. Named the best Training, Consulting/Business Service for the third year in a row, the E4 program offers AV professionals a full day of educational sessions worth InfoComm Renewal Units as well as exclusive access to the newest AV products and services. Since 1996, TouchSystems has been a pioneer of interactive technology and display integration. TouchSystems works with customers to create innovative solutions such as desktop touch monitors, interactive digital signage, all-in-one systems, kiosks, and industrial controls and peripherals. TouchSystems is based in Austin, Texas and is a division of Touch International, Inc.